Nothing but a visit will really give you a complete picture of our curriculum, but to whet your appetite for what we offer, please take a look at a little snippet about each grade and specialists’ class. Parents often describe their children’s experience in Pre-Kindergarten as magical. From the shady grove of the play area, to the bright, colorful, and whimsical classroom, Pre-K is infused with the wonder, curiosity, and creativity of our young learners. Their master teachers create an environment rich with opportunity to explore the world through a play-based, developmentally appropriate, Reggio Emilia inspired program infused with academic skill work that prepares our students for a head start in our kindergarten program. Each joy-filled day includes both structured and unstructured time that builds vocabulary and communication skills; sharpens powers of observation and reasoning; builds mathematical concepts with number, shape, and spatial explorations; and develops the fine motor skills that are necessary for success in school and life. 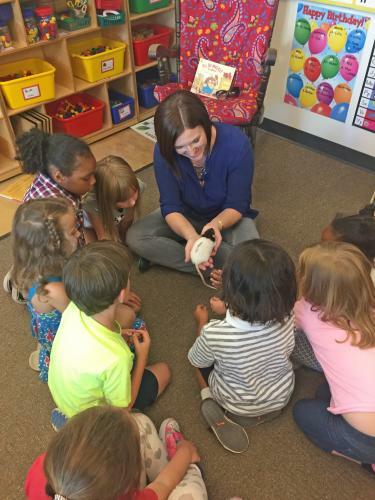 Students are introduced to the letters and their sounds through the animal characters of Zoophonics — a multi-sensory, fun, and engaging program to develop reading readiness. Throughout this program of discovery and learning, the teachers scaffold social relationships and foster self-initiated learning strategies. The children learn to work independently and cooperatively and build the skills to become masters of friendship and inclusive problem solvers. Pre-Kindergarten students thrive with visits to our beautiful library, music and movement experiences, projects with our art specialist, and daily Physical Education classes. Our richly integrated literacy program supports and encourages a broad range of learners to develop and extend early reading skills and introduce them to decoding and encoding language. Zoophonics and Readers Workshop, blended with other well-researched methods create a balanced approach to reading acquisition, giving students tools and strategies to put sounds and symbols together with meaning. Hands-on math experiences develop deep conceptual understandings by discovering patterns in nature and within the number system; learning the symbols of math and how to manipulate them in equations; comparing and contrasting shapes, sizes, and measurements; and developing spatial awareness. Scientific explorations sharpen powers of observation, develop an understanding of cause and effect and the ability to make predictions and hypotheses, and focus on scientific vocabulary to describe various phenomena in nature and the relationship of living things to their habitats. Daily experiences encourage children to communicate their ideas and feelings through art, music, and dramatic play. The children develop empathy for others and the skills and vocabulary to navigate the social scene and resolve conflicts happily and peacefully. Students are introduced to world language and culture through lessons in French and Spanish. Our specially trained Movement Education experts nurture students’ bodies as well as their hearts and minds with activities that emphasize health, sportsmanship, and caring for others. Our stunning library introduces them to a wide world of literature, and our art specialist steeps them in fine art creation and appreciation. They become comfortable public speakers and performers through our music and performing arts program. Exploding with color and creativity, our first grade classrooms set the scene for a dynamic program of integrated learning. Thematic units of study blend rich explorations of literature, artistic expression, creative fiction and non-fiction writing, and hands-on experiences to promote understanding and concept development. 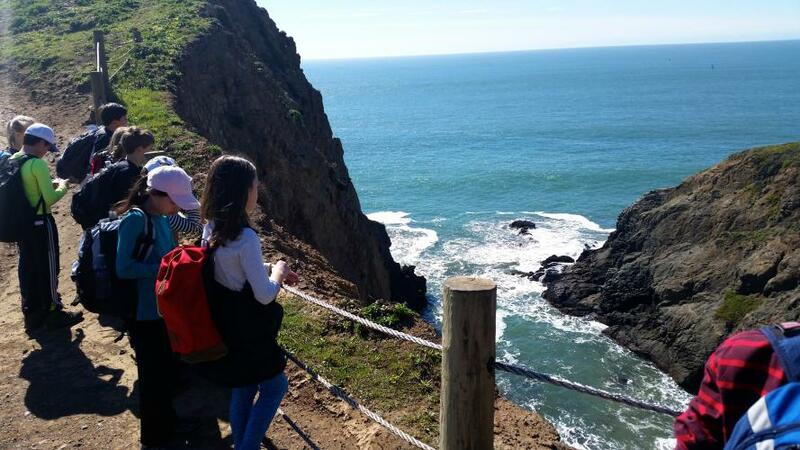 Field trips take our scholars into the world to experience first-hand the ideas they are exploring in their classrooms. With a focus on the individual learner’s unique skills and challenges, students are nurtured and supported to grow at their own pace so that the learning stretches them appropriately without creating anxiety or stress. Readers and Writers Workshop engage students at their individual level and pace for literacy and give them tools to explore the world and express their learning and ideas. Real-life problems develop essential reasoning skills while building deep understanding of the patterns and functions that are the basis of mathematical concepts. Science and social studies often provide the framework through which language arts and math skills are interconnected. Respect and compassion for and among the children is intrinsic in the environment, and kindness and peaceful conflict resolution are modeled and encouraged daily. Visits to our beautiful library, lessons in world language and culture, music and performing arts, projects with our art specialist, and daily physical education round out a first grade program that honors and nurtures the whole child. Second grade is steeped in the wonder of discovery as children develop their focus beyond themselves to understand more about the bigger world around them. Students grow in their independence and in their responsibility to themselves and to each other, to their classroom community, and to the greater world. Science explorations bring students into closer connection with their environment. We open their eyes wider, but also focus on small details, as we build observation skills and introduce the scientific method. Social studies allow them to know and appreciate the contributions and impacts of a diverse community of world citizens. Language and reading skills are individually nurtured through Readers and Writers workshop techniques so that children may grow at their own pace to become more independent readers. Our budding mathematicians develop number sense as they look for patterns, connect math to everyday activities like telling time and using money, begin working with larger numbers and play games that build fluency, and read and write story problems that develop their problem solving skills. Our art specialist, librarian, music, world language, and P.E. teachers work with the second grade teachers to ensure that their programs integrate with the activities in the classroom to deepen and extend the learning. Ahoy, Mateys! 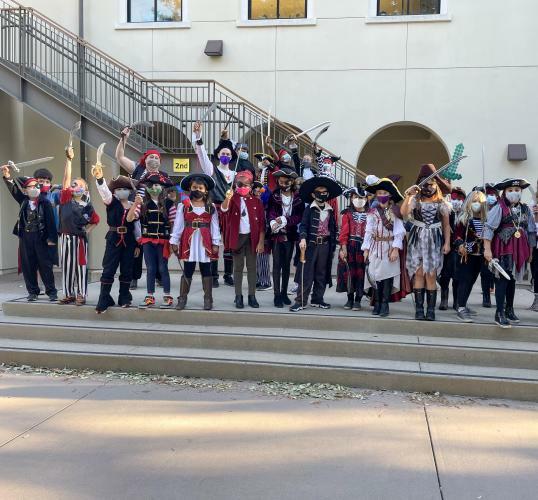 The third grade adventure begins on the seven seas as our swashbucklers embark on an epic voyage of exploration and discovery. Living history engages the students as they delve into the colonization of America, creating a Smithsonian-like experience for our study of early American life. Active and engaged, our third graders are immersed in a classroom that puts creativity and critical thinking ahead of the simple acquisition of facts. Students develop their reading and writing skills to gather, evaluate, and share information. 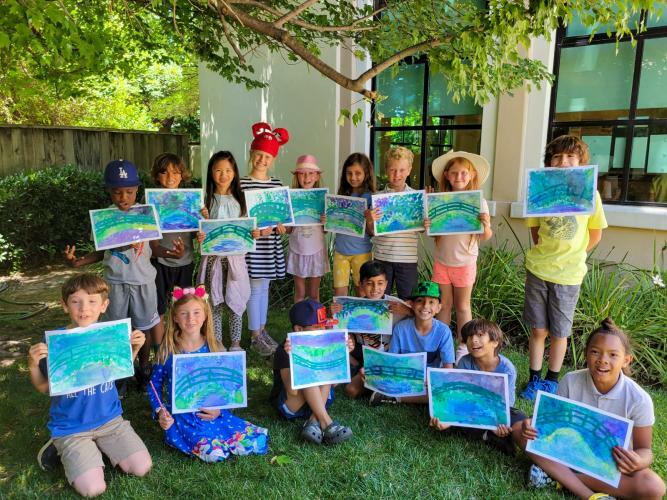 Third graders begin to understand the interconnectedness of habitats and inhabitants as well as their own impact on others and their environment. Math concepts deepen as their understanding of patterns and functions are applied to real life situations and basic math facts become more automatic. As they are given more responsibility for their individual work, students become better organized and better managers of their time and materials. Enrichment in music, art, literature, world language, and physical education round out a complete educational program. A parent once said, “At other schools you get to read about John Sutter. At Country Day you get to be John Sutter.” In 4th grade we really put the “live” into Living History! 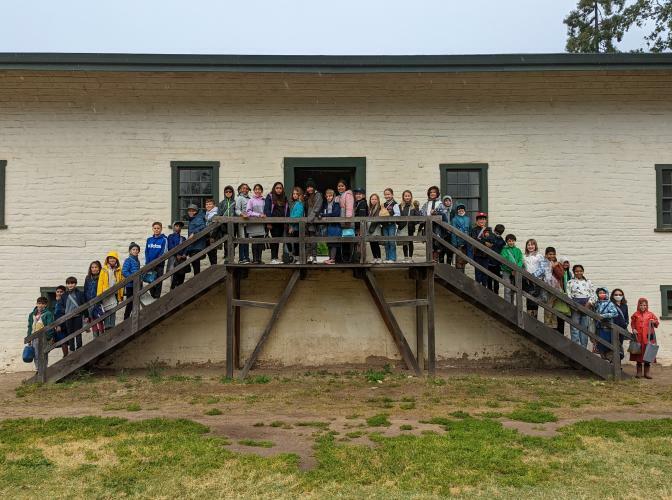 Opportunities abound for students to express themselves in writing, public speaking, and role-playing as students research the folks who have impacted the growth of California. The rich natural environment and history of California serves as the central theme of 4th grade studies. Hands-on, experiential, literature-enriched, and project-based, our curriculum encourages children to find the connections among the literary, historical, and scientific information that make their learning truly meaningful. As cross-curricular themes are explored both cooperatively and independently, children build a framework for understanding and analyzing cause and effect and interdependence. Mathematical activities build on the concepts introduced in earlier grades and put those skills to use to solve real-world problems. Technology is integrated into activities and enhances research, practice, and presentation skills. Specialists provide instruction in performing and visual arts, world language and culture, library skills, and physical education. Thinkers, explorers, scientists, problem solvers, data collectors, poets, artists and performers our 5th graders are busy making sense of increasingly abstract concepts and building a sophisticated set of tools to express themselves and demonstrate their understanding and solve problems. Independence and self-reliance grow as students take on more responsibility for their own learning. With the safety net of a supportive relationship with caring teachers, students are encouraged to stretch their wings, solve their own problems, and advocate for their own learning. In preparation for middle school departmentalization, 5th graders are responsible to two main academic teachers- one for math and science, the other for language arts and history. The teachers work closely together to integrate their subjects as much as possible. Team building activities and discussions help students develop their core values and learn to support and appreciate each other as they begin to experience the joys and challenges of the transition into early adolescence. Their development as kind and empathetic people is as important to us as their academic achievement. A more academic approach to world culture and language brings them additional responsibility, as does learning an instrument for the band or orchestra. Daily physical education helps channel some of their energy and enthusiasm into healthy choices. 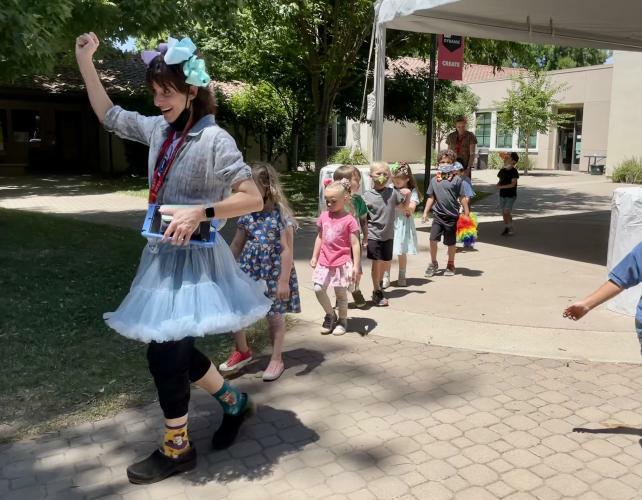 Following the retirement of long-time teachers Barbara Fackenthall and Donna Manning, Sacramento Country Day School has a new Pre-Kindergarten Team. We hope you are as excited to meet them as they are to meet you. Mitzi has a degree in Elementary Education with a specialization in Early Childhood Education from Assumption College and comes to us after 20 years experience at international and American schools, most recently at the Alt School in San Francisco where she was Head of School. She is trained in Reggio Emilia practices and has been a trainer for the International Baccalaureate Primary Years Program. A professional percussionist and photographer, Mitzi has taught other educators how to promote diversity in the classroom through art, music, and photography. Hi! I’m Ms. Mitzi and I am so excited to be one of your Pre-K teachers this year. 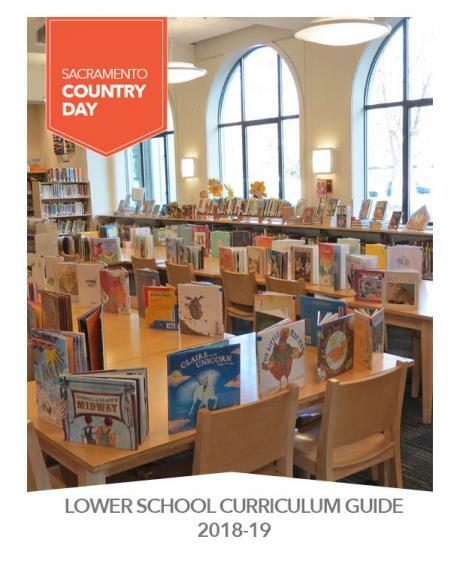 I have been teaching children for a very long time but like most of you, this will be my first year at Sacramento Country Day School so we will be exploring and learning lots of new things together! I was born in Manila but I have lived in many different countries. I moved to Sacramento a few years ago and now live with my husband and our beautiful black Labrador, Kit. She is a service dog and works with young children and adults that need help. Maybe one day you will get to meet her. I am a teacher but I am also a photographer, an artist and a percussionist. I can’t wait to paint, make and create with all of you! I also love reading and my favorites stories are “The Story of Ferdinand” and “Tikki Tikki Tembo.” This summer, I am flying home to the Philippines and Japan and I look forward to sharing my summer adventures with you. See you soon! Stephanie has an M.A. in Education and an Educational Specialist Credential. Hi! I’m Ms. Stephanie and I cannot wait to be one of your teachers this year too! Like Ms. Mitzi, this is my first year at Country Day as a Pre-K teacher, but my 12th year I have been lucky enough to be teaching preschool kiddos like you! My favorite area in the classroom so far is anywhere there are books! Wait… that might be all the areas of the room!! YEA!! My favorite books when I was a little girl were “Sylvester and the Magic Pebble” by William Steig and the “Whose Mouse are You” by Robert Kraus. I love all animals, but if I could be any animal in the world I would be a cat! Or maybe a dragon! Maybe I would be a cat dragon! What would you be if you could be any animal? I can’t wait to find out!! Brittany has a B.A. from California State University, Chico and an M.A., University of Phoenix. Hi! I’m Ms. Brittany and I’ll be one of your teachers this year. This is my second year teaching in Pre-K at Sacramento Country Day school. I’m so excited to meet each and everyone one of you! I live in Midtown and have a golden retriever named Jazzee. I love spending time with my friends and family. I also enjoy cooking up something fun in the kitchen. My favorite book is “The Giving Tree” by Shel Silverstein. I can’t wait to hear what your favorite book is! Something exciting I did this summer was travel around Canada with my best friend. Hope you’re enjoying your summer vacation and I will see you soon!